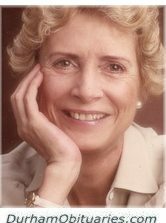 Grace passed peacefully at the age of 78 at Lakeridge Health Oshawa on Friday March 29th, 2019 surrounded by family. Beloved mom to John (Christine) of Tavistock, and the late Michael. 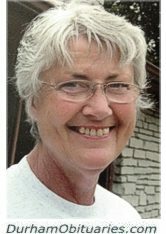 BALL, Sherry 'Sher' - Peacefully passed away at her home in Oshawa on March 29, 2019. 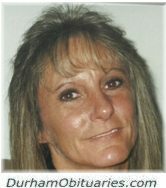 She leaves behind her husband Ken, best friend Yvonne and dog Tanner. She will be lovingly remembered by her step-daughter Amanda. Peacefully passed away on March 28, 2019 at the Ajax Pickering Hospital in her 100th year. She now joins her beloved husband Richard. Loving mother to Richard and his wife Anne, Ralph and his partner Jeanette and Louise “Lea” and her husband Paul De Laat. 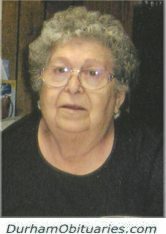 WRIGHT, Darlene Ellen - Peacefully passed away on Thursday, March 28, 2019 at Pinecrest Nursing Home, Bobcaygeon at the age of 76. Devoted wife to Bob for 50 years, predeceased. Sister to Brian Christie (Carol) and sister-in-law of Brian Wright (Judy). Aunt to Brandon (Sherri), Cameron (Stacey), Nikki (Son) and Neil. Great aunt to Brodie, Lincoln, Kenadie, Adelaide, Penelope and Delilah. Predeceased by her parents Alexander and Amanda Christie. HUGHES, Larry Gordon - Passed away suddenly on Thursday March 28th, 2019 at the age of 64. Cherished husband of Elaine for 32 years. Much loved dad of Shauna Hughes of Montreal, Jordan Hughes and his partner Chai of Montreal, Jarrett Hughes of Toronto and Jazmin Hughes of Whitby. Grandfather of Silver. 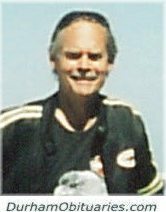 BOYD, Robert Glover (Bob) - Passed away suddenly in Oshawa on Thursday, March 28th, 2019 in his 60th year. Survived by his mother Christine (the late Howard), siblings Sharon, Doug (Nona), and Scott. Passed away peacefully at Sunnycrest Nursing Home, Whitby on Wednesday, March 27th, 2019, at the age of 84. Beloved husband of the late Beatrice. Loving brother of George and his wife Cecilia. Dear uncle to many nieces and nephews. 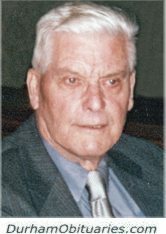 Precious father of Diane (Hartley) Wallace of Arnprior and Paul of Port Perry. Predeceased by loving daughter Susan Hortop of Arnprior. Passed away peacefully on March 27, 2019 at Lakeridge Health, Oshawa. Gladys was predeceased by her parents William Henry and Mary Ellen (Corkery), her sisters Geraldine, Sister Isobel (SP), Margaret, Mary and Dorothy, her brothers Gordon, Elburn (Clara). WOODCOCK, Phyllis Aileen 'Babs' - Age 92, passed away peacefully on Wednesday, March 27, 2019 at Lakeridge Hospital in Oshawa, surrounded by her loving family. Babs was born on January 29, 1927 in Orangeville, Ontario to Charles and Madeleine (Belt) Lamon. Her family moved to Oshawa at age 12 where she attended O’Neill High School before studying nursing at University of Toronto. Babs married William (Bill) Woodcock in 1950 and together they raised a family and travelled the world. 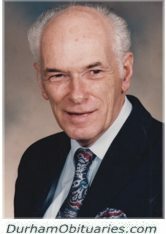 Passed away peacefully after a courageous battle at the Lakeridge Health Oshawa on Wednesday, March 27th, 2019, in his 90th year. Predeceased by his beloved wife Nancy (2011). Loving father of Lori Anne, Timothy, and the late Patti Lynn. Will be missed by his loving dog Sassy. 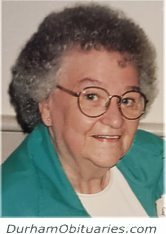 DENTON, Ruth Marie (nee HICKS) - On Wednesday, March 27, 2019, Ruth unexpectedly passed away at the age of 90 at Lakeridge Hospital, Oshawa. 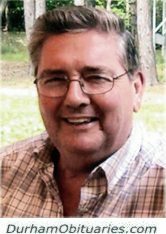 STUBBS, Barry Charles Stubbs - Of Port Perry, Ontario, passed away peacefully on Wednesday, March 27th, 2019 with his family around him - his dear wife, Lucy (nee Wren) of 59 years, sons Mark and Greg, and daughter Jo-Anne Blaikie. Grandchildren Adam Stubbs, Collin and Laura Stubbs and Richard and Trevor Blaikie were the light of his life. SIDOTI, Giovanna – (1926 - 2019) - Passed away peacefully on March 26, 2019 at Lakeridge Health, Ajax. Survived by beloved husband Ignazio. Cherished mother to the late Antonino, loving mother-in-law to Anna-Maria. Adored Nonna of Alexandra. SAUNDERS, Clara Eleanor - Passed away at her home with her family by her side on Tuesday, March 26th, 2019 at the age of 92. Predeceased by her husband James George Saunders (2008). Loving mother of James Saunders (late Margaret) of Scarborough, Gordon Saunders of Oshawa, Eleanor McDonald of Oshawa and Janet Gray and her husband Gary of Lindsay. Peacefully at his residence with his family by his side on Tuesday, March 26th, 2019, at 77 years of age. Beloved husband of Betty for 56 years. Devoted father of Grant and his wife Barbara, Robert and his wife Colleen, and Alan and his partner Beth Ann. 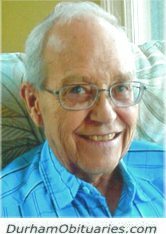 LISE, Markus Johannes - Passed peacefully at Lakeridge Health Bowmanville on Tuesday March 26th, 2019 with his family at his side. He is experiencing Life to the fullest with his Lord and Saviour in Heaven. KERSTENS, Johanna Maria “Ann” - At Lakeridge Health in Oshawa on Tuesday March 26, 2019 in her 92nd year with her family by her side. Beloved wife of 65 years to Gerardus “Gerry” Kerstens. Royal Canadian Air Force Veteran Member of Royal Canadian Legion # 178 Surrounded by his loving family, Cliff passed away at Lakeridge Health Bowmanville at the age of 76.